The Smokemaster SM-ST fixed smoke curtain prevents the movement of smoke and heat from one area to another in a fire by channelling or containing the smoke and heat. It conforms to EN 12101-1 and has a D120 rating. 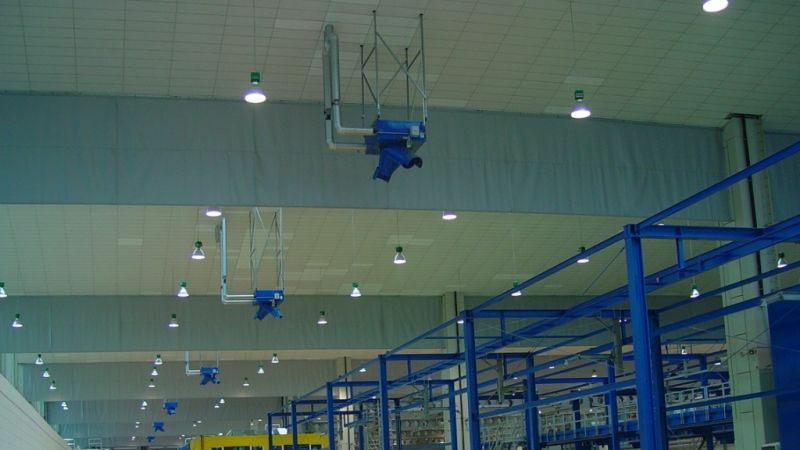 Smokemaster SM-ST are fixed smoke curtains that can provide protection from the adverse effects of smoke movement for most kinds of industrial and commercial buildings. The Smokemaster SM-ST fixed smoke curtain consists of a fabric material which is held within a series of angle pieces and thereby clamped. At the bottom of the cloth there is a weight to keep the cloth taut, ensuring that the curtain remains taut and reduces the amount of deflection through air currents. High performance - Designed to withstand hot air and smoke at temperatures up to 600ºC for up to 120 minutes once only. Certified performance - The complete product has been successfully tested and certified to EN 12101-1 in accredited third party test laboratories and is CE marked. It achieves a rating of D120. The fabric has been tested to EN 13501-1. Configurations and sizes - Overall smoke curtain lengths for single units are available from 1500 to an infinite dimension, and drops are available from 500mm to 8000mm. 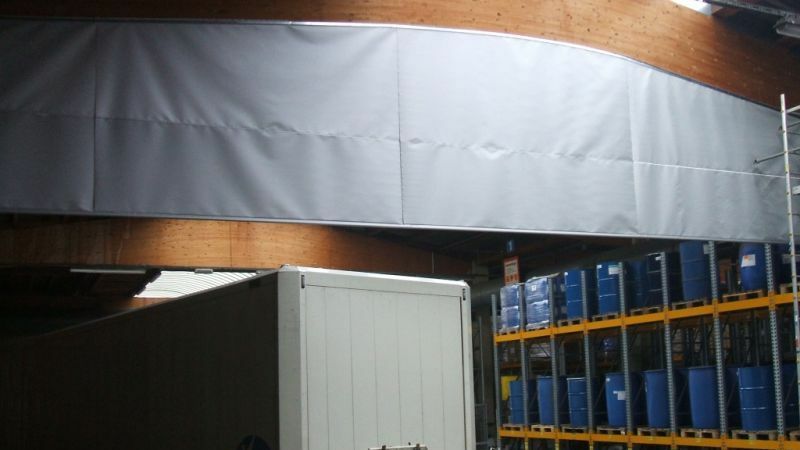 Fixed smoke curtain, to prevent the movement of smoke and heat from one area to another in a fire. Overall curtain lengths from 1500mm to an unlimited length, and drops are available from 500mm to 8000 mm. Complete product tested to EN 12101-1, and achieves a rating of D120 (600 °C, 120 minutes). Designed to withstand hot air and smoke at temperatures up to 600ºC for 60 minutes once only. The fabric has a resistance to fire of class A2-s1,d0 when tested in accordance with EN 13501-1.